Moody’s credit rating for the City of Port Jervis was downgraded on March 16, and for city officials who have watched the decline of the city’s fund balance, the increase in operating costs, and the relatively stable tax rate over the last few years, it was no surprise. Moody’s downgraded Port Jervis from an A1 to an A3 on a scale that goes from AAA to C, and gave it a “negative” outlook for the coming year. The report cited the city’s small fund balance (it’s rainy day fund which is currently at $250,000), its lack of cash, and its growing debt burden as some the main factors that contributed to the lowered rating. Costs, mostly personnel-related, have been rising by 15.9 percent since 2010 while the city’s income has only increased by 9.5 percent. State aid and sales tax revenues have also declined, the report said. The immediate impact is that Port Jervis is no longer eligible for the Energy Improvement Corporation’s (EIC) Energize NY program, which helps businesses become more energy efficient through financing and other kinds of support. The city was looking at the program before it got the news of its credit rating downgrade, and while it is currently no longer eligible because of its lowered credit score, it may be in the future. 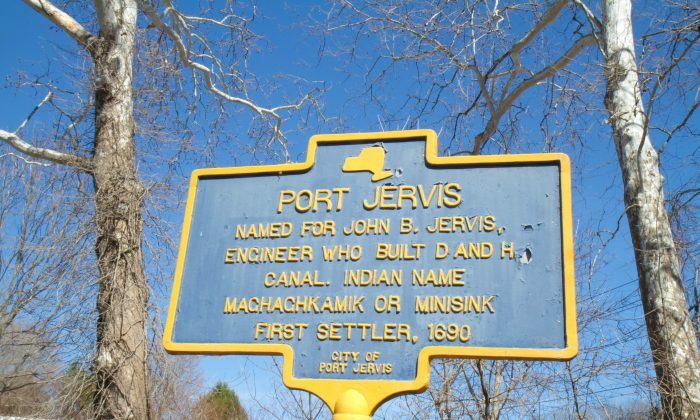 Valerie Maginsky, the Executive Director of the Port Jervis Community Development Agency (PJCDA) and a proponent of the Energize NY program, said the EIC is developing a way to service cities with lower credit scores like Port Jervis, and she thought it could be available by the end of the year. The main place the new credit rating is going to be felt is in the rates the city gets when it takes out loans. The main place the new credit rating is going to be felt is in the rates the city gets when it takes out loans. City Clerk and Treasurer, Robin Waizenegger, said she did not know how much it would affect loan rates, but she said she thought it would have a “minor impact” because the rating had not fallen to a B. The report said New York cities have an “institutional framework” of A or moderate because taxes are a pretty stable revenue source. The credit report said the city’s tax base did show signs of stabilization (a .5 percent increase between 2014 and 2015) and if the city could replenish its fund balance and increase it’s cash reserve, next year’s rating may be different. Mayor Kelly Decker said .5 percent is hardly what he would call stabilization. Over the last five years, the tax base has decreased 5.8 percent annually. The decline happened, he explained, because the city was not raising taxes and was taking from reserves to balance the budget. He said in an email the city is starting to match its revenue to where its expenses are and this year’s budget did have an 8.5 percent tax rate increase. Speaking about alternative revenue sources the report said the city needed to cultivate, he cited a rail museum, an adventure park, and improvements to the city’s canals as initiatives that could bring in revenue from tourism once completed. If the end of 2016 proves to be a mild like it was in 2015, Decker said, the city may be able to add the savings from snow removal costs to the fund balance. He also said the city needs to get rid of its delinquent properties that have to be torn down. When the city gets left with these properties after a tax lien sale, the city is not only paying for the costs to raze and remove them, but is most likely going to sell the empty lot for far less than they spent to clear it. “That loss doesn’t show up on our balance sheets, but as soon as we sell it, it shows up,” Decker said at the Mach 28 City Council meeting. He said he was working with state Senator John Bonacic to get a grant to pay for the city’s demolition costs, but even though they were able to secure a $100,000 grant, the state said they could not use it to for such a purpose. Instead he is hoping to use it to improve the newly-opened trails in the City’s watershed and possibly the tow path along the canal. “So we’re still stuck in the rut,'” he said. He urged residents who don’t want to pay more taxes to call their elected officials and explain that with the 2 percent tax cap (which for Port Jervis was really .12 percent this year) and continually rising costs for things like health insurance, workers comp, and unfunded state mandates, the city needs more help from the state if it is going to keep taxes low.